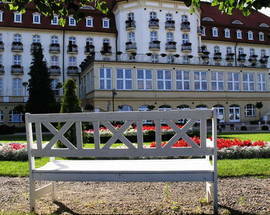 The Grand Hotel is one of Sopot’s defining architectural features. Sitting majestically overlooking the beach just to the north of the pier, the Grand, or Kasino Hotel as it was originally called, opened in 1927. Its construction marked a new era in the history of the city and its opulent design and adjacent casino attracted the great and the good from all over Europe. This inter-war period marked a golden age for town, and the hotel was where the millionaire playboys of the age would party and bed down for the night following an evening of gambling their fortunes at the roulette and blackjack tables in the casino. According to local myth, the side street by the hotel was something of a suicide alley, where those who had lost the coat on their backs would finish their lives with a bang. One of the many who reputedly lost their fortune here was the former mayor of Sopot, Erich Laue. Dr. Laue had been the driving force behind the rapid development of the city in the years following WWI and had overseen the construction of, among others, the Forest Opera, the athletics stadium and the modernisation and extension of the Resort House and pier. 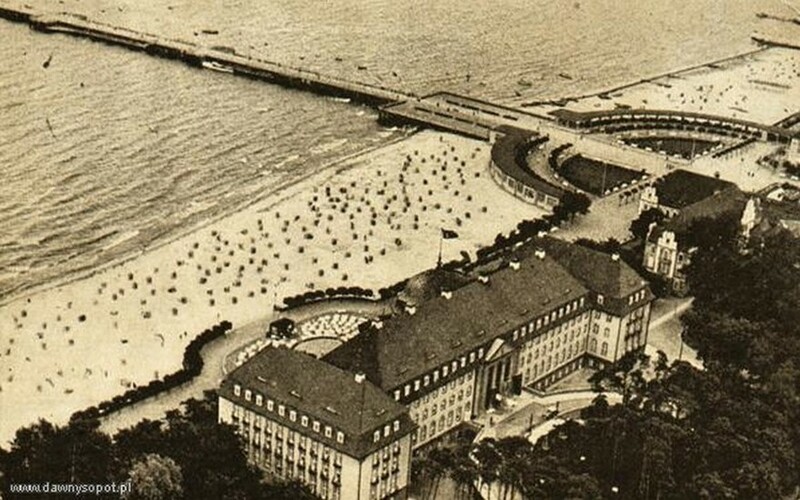 The casino was part of a plan to beat the post-war collapse in Sopot by transforming it into the ‘Monaco of the Baltic’. In the early days the city was the major shareholder in the company which owned and ran the casino in fact and the development of the prestigious Kasino Hotel was the next step in realising the city’s ambitions. Dr. Laue, having resigned from his post in 1930, after 11 years in various positions of power in the local government, was charged in 1933 by the Danzig Senate’s Anti-Corruption Commission with impropriety in the financing of the Kasino Hotel. It was suggested that he had lost his wealth in the casino and had embezzled funds to cover his debts. The truth was never discovered as Dr. Laue took his own life in prison the day following his arrest. 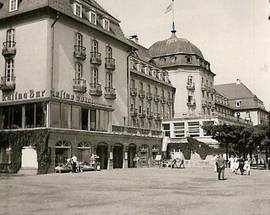 With the invasion of Poland and the Free City on September 1, 1939, the Kasino Hotel found itself centre-stage again. Adolf Hitler based himself at the hotel in mid-September while he waited for the fall of Warsaw and stayed in suites 251-253. While he was staying at the hotel he was accompanied by high-ranking Nazis and military such as von Ribbentrop, Bormann, Keitel and Rommel. 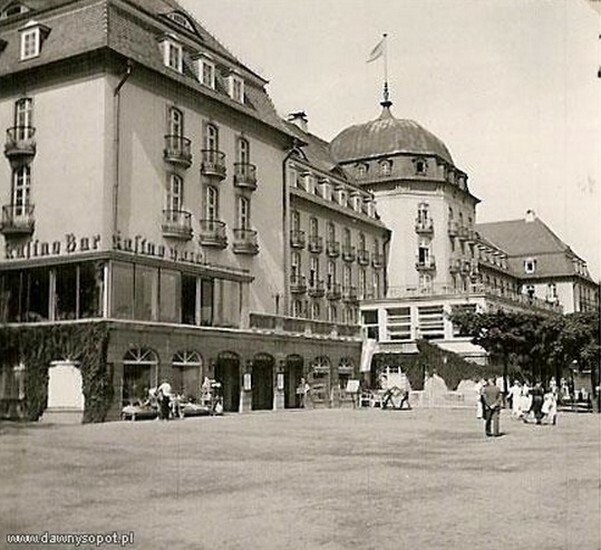 The hotel managed to survive World War II despite much of the adjoining complex of buildings, including the casino, being destroyed as the Red Army took the city and drove the Germans out. It was soon back operating as a hotel (now renamed the Grand) run in turn by the Gdynia-America Shipping Company, the Polish Ocean Lines Group and finally the state-owned hotel operator Orbis. 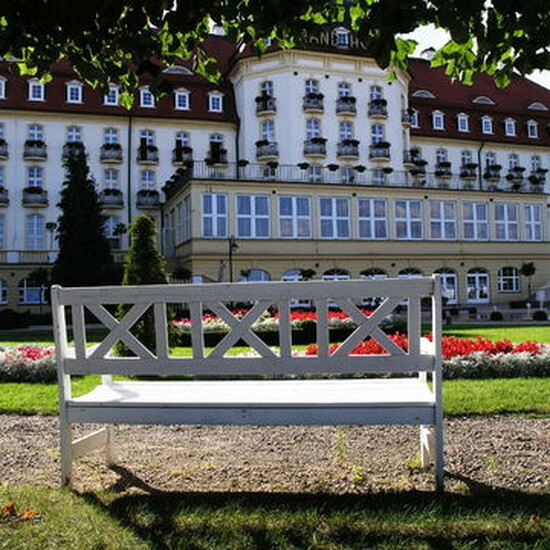 The hotel continued to attract international guests and was both the hotel of choice for Polish communist leaders and a focus of attention of the Polish Secret Services during the Cold War era, with the long-serving director a major in the Polish Secret Services (SB). 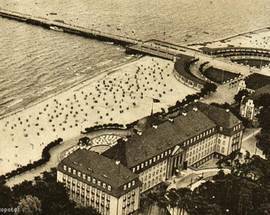 With the introduction of the Sopot Music Festival in the 1960s the hotel played host to the international stars who came to perform as well as the major events surrounding the festival. A casino returned to the hotel in 1990 following the fall of Communism but the hotel found itself rather frayed at the edges and in need of serious modernisation. With the takeover of the Orbis hotel group by the French company Accor in the early part of the 21st century the Grand finally had an operator capable of returning it to its former glory. The hotel was closed and completely modernised re-opening in 2006 under the international Sofitel brand. The hotel has always been synonymous with style, and the guest book reads like a Who’s Who of 20th century figures: Fidel Castro, the Shah of Iran and Charles de Gaulle are a few of the names who came to sleep here and the bar contains walls of photographs of some of the hotel’s most famous guests. 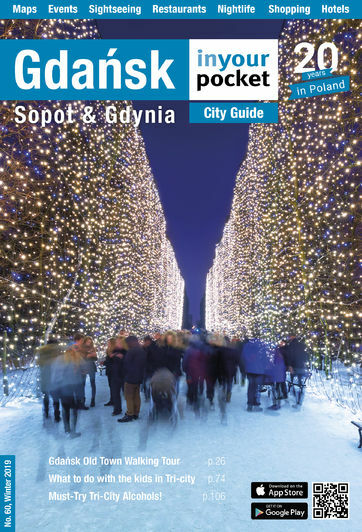 The Grand has once again assumed the mantle as one of the best hotels in Poland. Individually designed rooms come with acres of space to roam around in, and a breezy elegance that harks to the hotel’s heyday. Flat screen televisions stand in front of huge beds, and rooms feature classy dark wood finishes with many coming with views of the pier. Ensuite bathrooms tout dressing gowns and cosmetics, and the hotel also boasts state-of-the-art fitness and spa facilities. There is a beautiful private garden and the hotel also has a private beach out front making the Grand once again a top-class beach resort hotel.